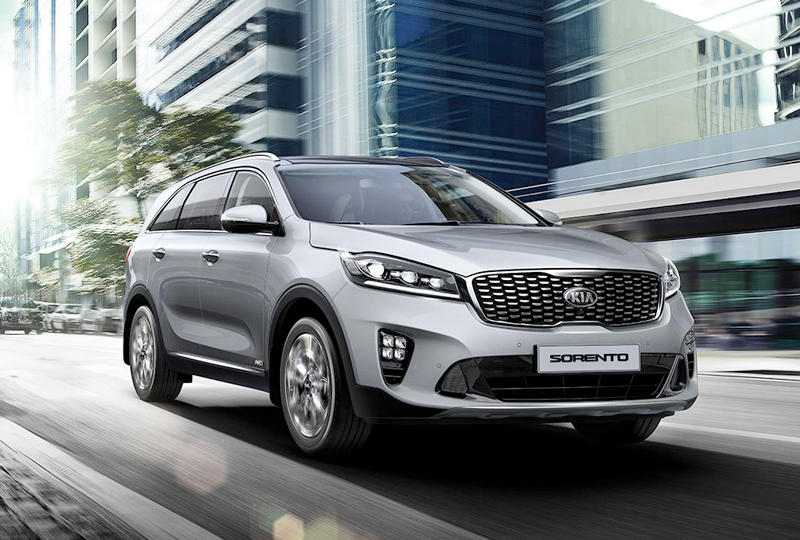 The 2019 Kia Sorento for sale at Renaldo Kia in Shelby, NC, near Gastonia, NC and Gaffney, SC, is the essential mid-size SUV for daily commutes and road trips. Wherever you go, eyes will follow. A bold front grille, integrated rear spoiler, and projector beam headlights enhance the premium style on this family-friendly vehicle. It features standard three-row seating with room for as many as seven passengers. That means you’ll have plenty of room for the entire gang and their friends on those busy carpool mornings. Split-folding second and third rows give you ample cargo space when the crew isn’t on board. You’re sure to love the cloth-trimmed seats with YES Essentials® fabric treatment that both resists stains and helps eliminate odors. Steering-mounted audio and Bluetooth® controls allow you to make calls without losing focus on the road or play some tunes if you need to drown out the background noise. Personalize your music or find your way using a variety of apps through Android Auto™ and Apple CarPlay® support. Before you hit the road, a standard rear vision camera display lends a hand locating anything hiding where you can’t see. Once you’re on the journey, you can use available safety features like blind spot collision warning and rear cross-traffic alerts. 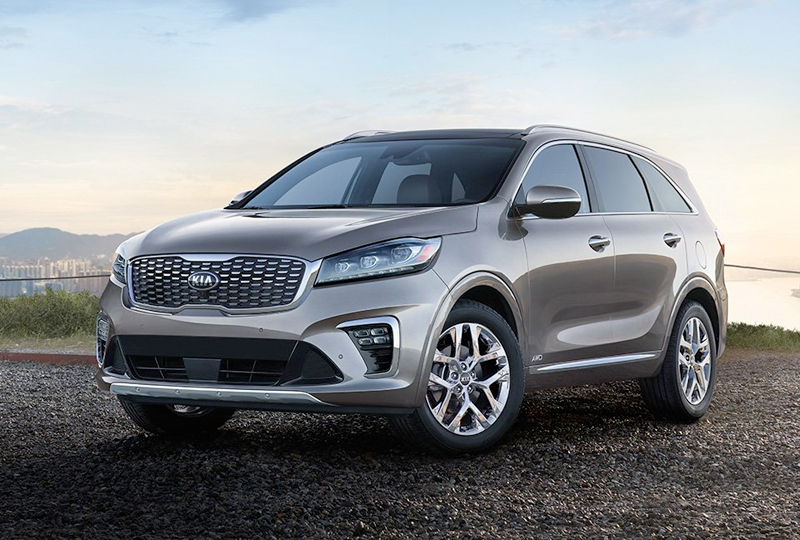 There’s never been a better time than now to buy a 2019 Kia Sorento! Visit our showroom, located at 4425 East Dixon Blvd in Shelby, NC, to take a test drive. We can’t wait to see you drive home in the Kia you’ve been dreaming about! 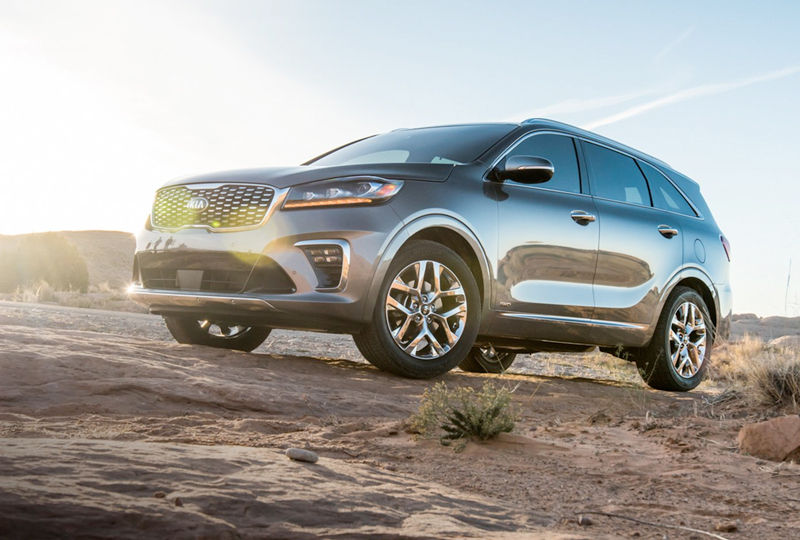 Whether you're off-road or in-town, the 2019 Sorento delivers dynamic handling, performance, and power to tackle any adventure. The available V6 engine with new 8-Speed Automatic Transmission expands availability of the engine's power band, with improved MPG. And the brand new Smart Shift & Drive technology senses road conditions and dials into the perfect driving mode to help you journey with comfort and confidence. 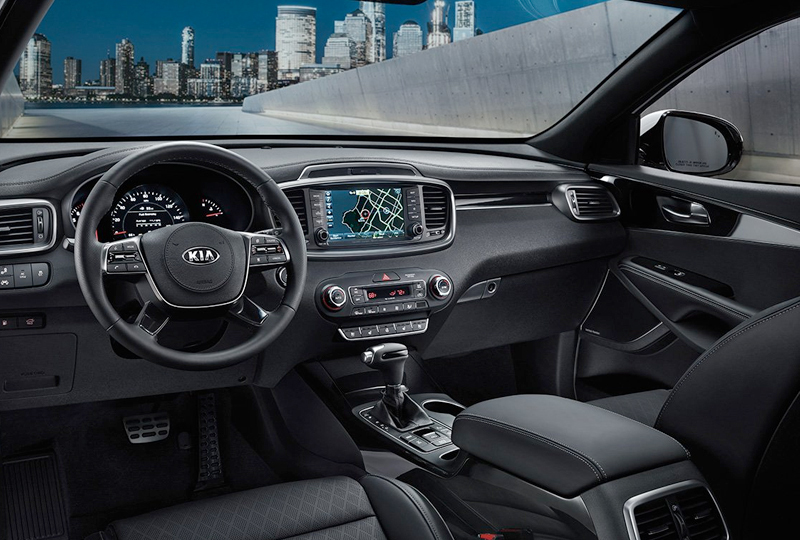 It's a crowded road out there, but you can maneuver with added confidence thanks to Kia's innovative Kia Drive Wise driver-assist technologies. Newly available additions include Driver Attention Warning (DAW), Lane Keeping Assist (LKA), and Park Distance Warning &dash; Forward (PDW-F).